Personal electronic devices—smartphones, computers, TVs, tablets, screens of all kinds—are a significant and growing source of the world’s electronic waste. Many of these products use nanomaterials, but little is known about how these modern materials and their tiny particles interact with the environment and living things. 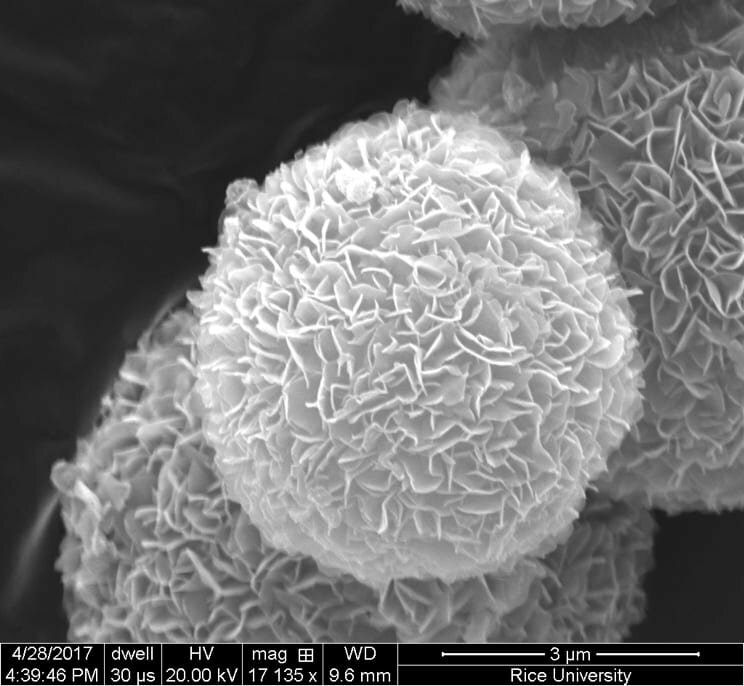 Now a research team of Northwestern University chemists and colleagues from the national Center for Sustainable Nanotechnology has discovered that when certain coated nanoparticles interact with living organisms it results in new properties that cause the nanoparticles to become sticky. Fragmented lipid coronas form on the particles, causing them to stick together and grow into long kelp-like strands. 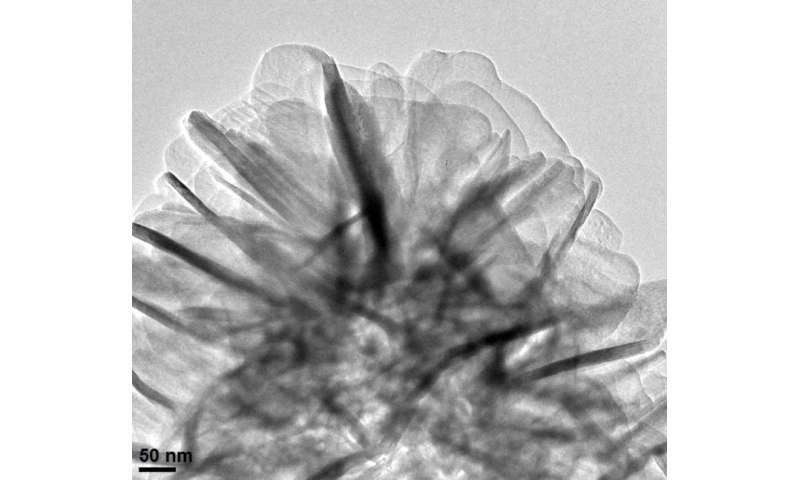 Nanoparticles with 5-nanometer diameters form long structures that are microns in size in solution. The impact on cells is not known. Geiger is the study’s corresponding author. Other authors include scientists from the Center for Sustainable Nanotechnology’s other institutional partners. Based at the University of Wisconsin-Madison, the center studies engineered nanomaterials and their interaction with the environment, including biological systems—both the negative and positive aspects. The experiments were conducted in idealized laboratory settings that nevertheless are relevant to environments found during the late summer in a landfill—at 21-22 degrees Celsius and a couple feet below ground, where soil and groundwater mix and the food chain begins. Understanding the mechanical properties of nanoparticles are essential to realizing their promise in being used to create exciting new products. 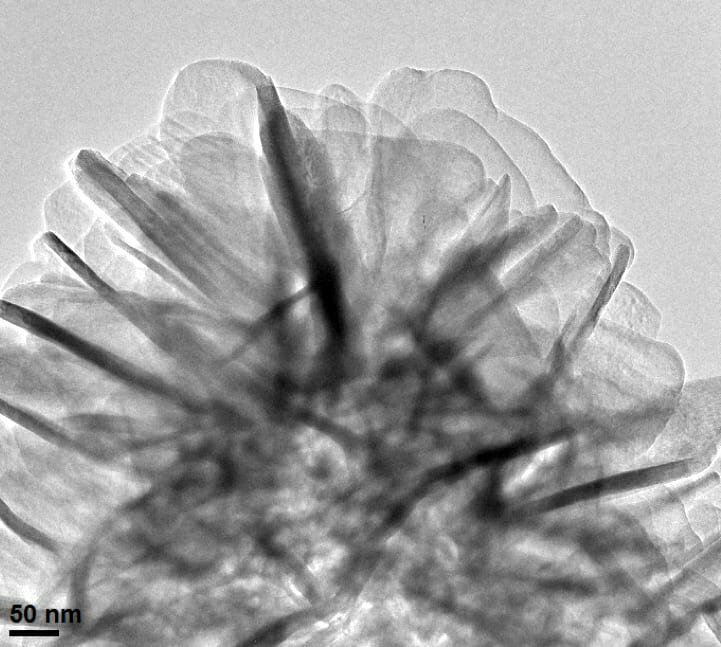 This new research has taken a significant step toward gaining the knowledge that can lead to better performance with products using polymer nanoparticles. 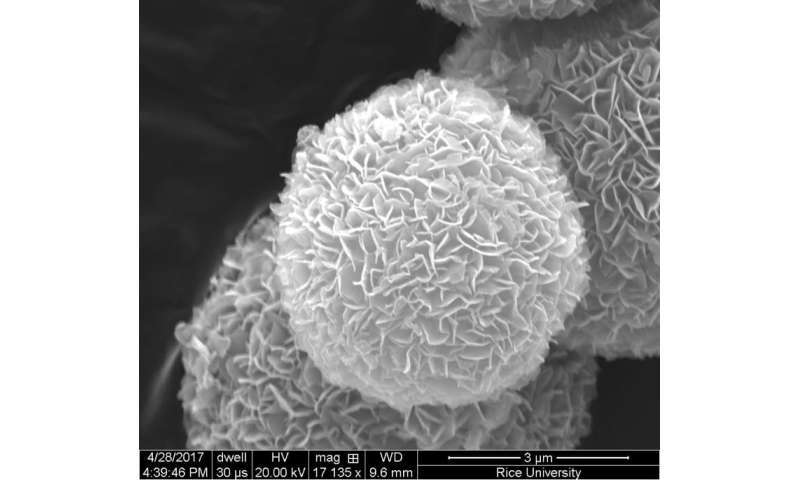 To deliver the vaccine, the de Silva lab is using a nanoparticle platform produced with PRINT (Particle Replication in Non-wetting Templates) technology, which was developed by Joseph DeSimone, Ph.D., the Chancellor’s Eminent Professor of Chemistry at UNC-Chapel Hill, with an appointment in the department of pharmacology. Rather than using a killed or attenuated virus to develop a vaccine for dengue, researchers are focusing on expressing the E protein and attaching it to nanoparticles to induce good immune responses. In previous studies of monovalent vaccines, they have shown that the platform can induce protective immune response in individual serotypes. Their latest study of a tetravalent vaccine shows the response in all four serotypes at the same time. “We are also seeing a more balanced immune response for each of the serotypes, which means the quality of neutralizing antibodies created is leading to a better overall protective reaction for the patient,” said Metz, the paper’s lead author. The de Silva lab’s next steps include optimizing the technique they use to attach the E protein to the nanoparticle. This work will be extremely important when trying to create a vaccine that induces consistently strong protective immune responses. Curtin researchers have developed a tiny electrical circuit that may enable an entirely new design of digital devices. The electrical circuit is made from crystals of copper that are grown and electrically wired at nanoscale and may lead to digital devices that have increasing amounts of computational power packed into a smaller space. In a paper published today in the leading nanotechnology journal ACS Nano, researchers used a single nanoparticle to create an ensemble of different diodes – a basic electronic component of most modern electronic devices, which functions by directing the flow of electric currents. Lead researcher Ph.D. candidate Yan Vogel, from Curtin’s School of Molecular and Life Sciences and the Curtin Institute for Functional Molecules and Interfaces, said the research team used a single copper nanoparticle to compress in a single physical entity that would normally require many individual diode elements. Mr Vogel said the research showed that each nanoparticle had an in-built range of electrical signatures and had led to something akin to ‘one particle, many diodes’, thereby opening up the concept of single-particle circuitry. Mr Vogel said the breakthrough would enable new concepts and methods in the design of miniaturised circuitry. 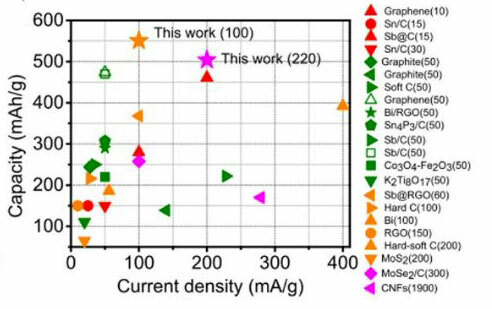 “Instead of wiring-up a large number of different sorts of diodes, as is done now, we have shown that the same outcome is obtained by many wires landing accurately over a single physical entity, which in our case is a copper nanocrystal,” Mr Vogel said. Team leader Dr. Simone Ciampi, also from Curtin’s School of Molecular and Life Sciences and the Curtin Institute for Functional Molecules and Interfaces, said the new research followed that published by himself and his Curtin colleague Dr. Nadim Darwish in 2017, when they created a diode out of a single-molecule, with a size of approximately 1 nanometer, and would help to continue the downsizing trend of electronic devices. “Last year, we made a breakthrough in terms of the size of the diode and now we are building on that work by developing more tuneable diodes, which can potentially be used to make more powerful and faster-thinking electronic devices,” Dr. Ciampi said. This research was co-authored by Dr. Darwish and Ms. Jinyang Zhang, also from Curtin’s School of Molecular and Life Sciences and the Curtin Institute for Functional Molecules and Interfaces.